Ernesto has an M.S. in natural resources and environmental sciences, and a B.S. in horticulture, both from the University of Illinois, Urbana-Champaign. He has conducted research into plant genetics and has been published in several technical journals. Complementing his specialty in horticulture are his 12 years as a construction manager and his experience in landscape design. As part of WRD’s integrated design team, Ernesto draws on his specialty in sustainable construction and management to ensure that all installation decisions support the project’s landscape design and engineering needs. His project management expertise includes oversight of subcontractors, scheduling, QA/QC documentation, budgeting and cost-track analysis. 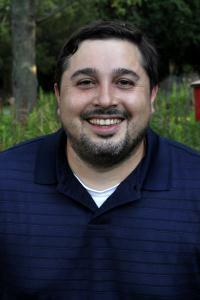 Ernesto is on the board of directors of the Midwest Ecological Landscaping Association. Download Ernesto’s full bio [PDF 310 kb].